Six Shooters Showhall & Cafe features two state-of-the-art movie theatres. 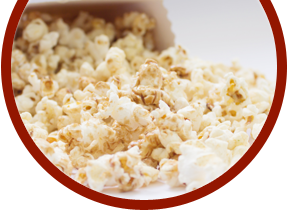 Savor fresh-popped theatre popcorn or other treats in the comfort of stadium-style seating while enjoying the rich experience of our Dolby surround sound theatres. Running Time: 3 hrs. 1 min. Running Time: 2 hrs. 0 min.